Discover a new flavor from South America also known as the 5th white spirit. Pisco is a type of brandy made from grapes at the foothill of the Andes Mountains and is a versatile spirit that you can mix into your favorite cocktails, replacing some other traditional spirits like vodka. 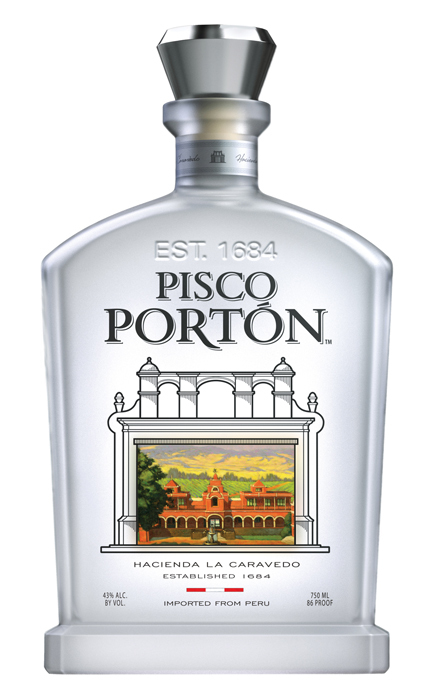 Pisco Portón is created at the Hacienda La Caravedo, the oldest distillery in the Americas. This unique liquor captures citrus and spicy flavors with a lasting aroma handcrafted in a beautiful bottle with a Peruvian landscape. Kick off this special occasion on February 2nd with National Pisco Day and celebrate at the many restaurants around the country that are offering specials and some of their very own cocktail creations. Shake ingredients with ice. Strain into chilled glass. Garnish with a dash of bitters. Add all ingredients into shaker. Dry shake (no ice) well. Add ice and shake well again before double straining into a glass. Garnish with a dash of angostura bitters. Combine 3/5 part Yuzu (bitter Japanese citrus) with 2/5 part lemon juice. Dry shake first five ingredients, then shake over ice and double strain into a chilled cocktail glass. Finish with a Cranberry Bitters flourish and a few Pink Peppercorns. Put all ingredients in blender, blend until frothy. Serve in stemmed cocktail glass. Top with Chicha Morada bitters. *Cinnamon Pineapple Demerara Syrup: Create simple syrup (2:1 sugar to water,) bring to boil and add cinnamon and whole pieces pineapple. Reduce to simmer for 2 minutes and then fine strain to create syrup. all the following restaurants will be offering half priced Portón Sours all day and night on February 2nd. On February 2nd hosting a Pisco Sour Day party, where they will be giving away a trip to Peru. Raffle tickets are $15. Try one of 5 different Chilcano infusions with Portón, including coconut, lychee, pineapple, mango, cinnamon-clove, prunes). Each $10 on February 2nd. Visit the 1st pisco bar in America! On February 2nd Portón pisco sours are $5 each. Try a traditional Portón Sour, made with a homemade syrup, infused with cloves, cinnamon and some secret ingredients – on February 2nd $9 each. Previous articleWhat do you think about the new American Airlines logo?